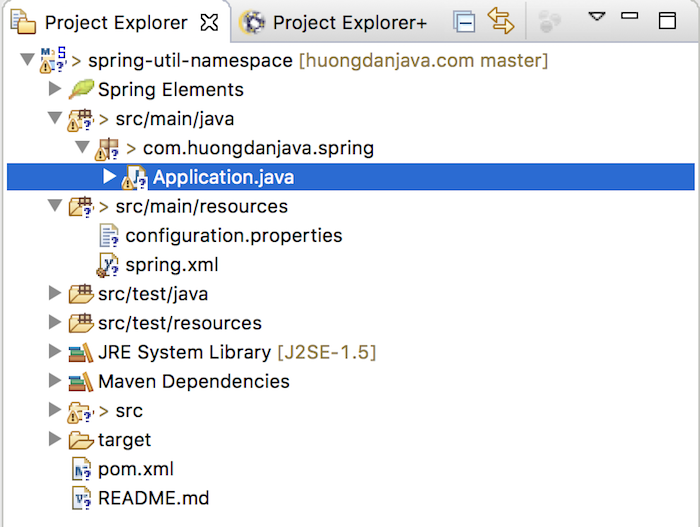 In this tutorial, I will show you how to read properties files in Spring using util namespace. Now, I will configure the util namespace in Spring’s configuration file so that it can read the properties contained in the configuration.properties file for our application to use. In the above declaration, I used the <util:properties> tag to declare the path of the properties file. 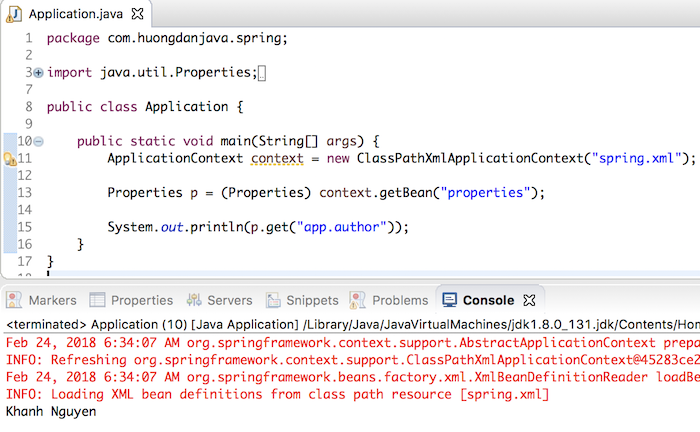 The special with the util namespace is that with the above declaration, properties are read into an object of the java.util.Properties class with a variable named id, in my example it is the properties variable. When using properties with util namespace, the usage is also easier. The util namespace also supports our ignore-resource-not-found attribute so that our application does not have an exception when the path of the properties file does not exist.